Description This gift set features a large 25 oz. 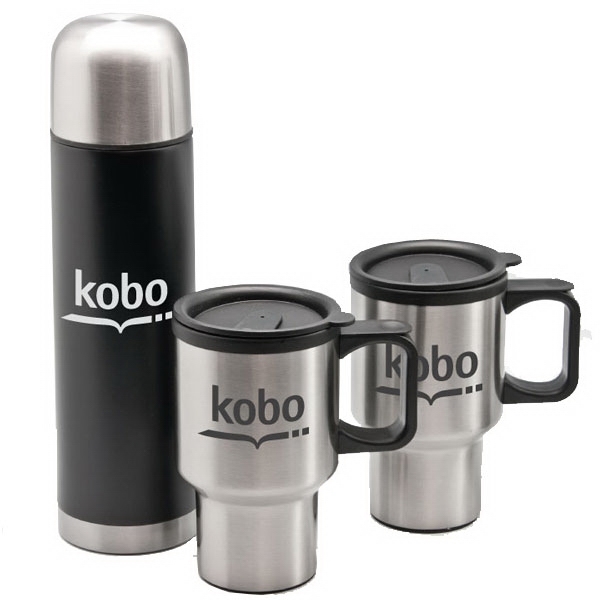 stainless steel vacuum bottle and two 14 oz stainless steel travelmugs. These durable vacuum bottles feature a vacuum insulated (for heat retention) bottle with dual wall design, wide mouth drink through lid, a cup, and push button stopper. Packaged in a black two-piece deluxe gift box. Imprint Size 3" x 3", 2.5" x 2"